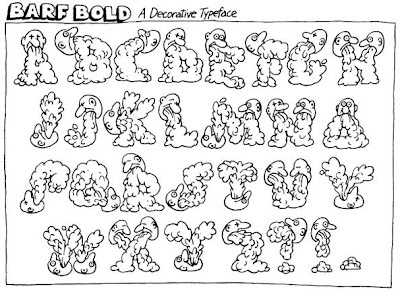 I found this typeface while looking for inspiration for my experimental type project. I'm hoping my project will look a lot like this one ......... chuckle. With a name like barf bold how can you go wrong!